A design that could reignite iPhone X sales? Unlike the aforementioned PRODUCT(RED) iPhone 7, Hajek has opted to keep the front of the iPhone X black, as with the current model, rather than last year’s white frontage. To our tastes, this better offsets the red coloring of the phone, and definitely gives it an appealing appearance. Recently, rumors have swirled that Apple could debut a new color iPhone X as a way to increase mid-year sales. For anyone hankering after Hajek’s design, however, this is more likely to be in blush gold than red. Should Apple debut new a new color option, it will be interesting to see whether it throws in an additional price cut for good measure. Given that the iPhone X has received sterling reviews, we can’t help but think that it’s pricing — rather than lack of color options — which has reportedly resulted in disappointing sales. 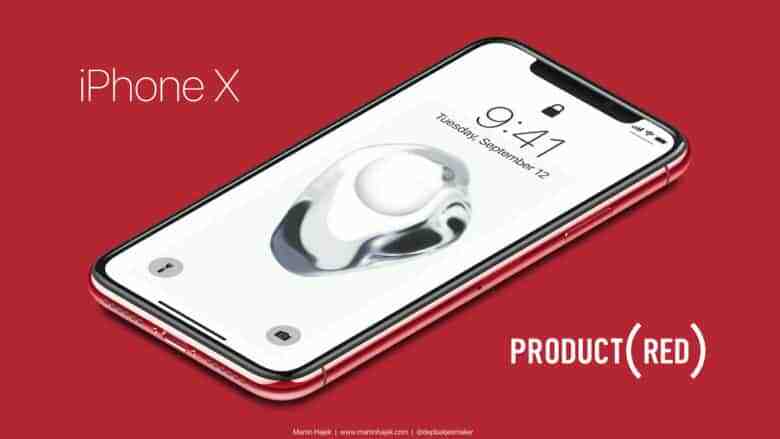 Would you be interested in a PRODUCT(RED) iPhone X? What would persuade you to buy Apple’s latest flagship handset if you haven’t already? Let us know in the comments below.